After your company completed its implementation of Allegro and fully transitioned to the new system, your back office has likely enjoyed a great deal of relief from many of the challenges of handling high trade volume. Even so, it is great to take a pause afterward to assess what other efficiencies and job aids can be introduced to help tighten processes. The benefits to undertaking this exercise include scalability, less overtime, increased accuracy, and even the possibility of closing the books more quickly. Allegro contains all the information your back office requires to ensure that they have properly settled and accounted for the month’s transactions from an internal point of view. When external elements are introduced into the mix, achieving a streamlined accounting close can become a bit more complicated for any commodity trading and risk management (CTRM) solution. External elements include the check-out process with trading partners, tying out to pipeline statements, and to other external documentation. Your trading partners can initiate disputes that require internal investigations and potential corrections, which adds another degree of manual effort and follow-through. Monitoring your own internal control metrics is an ongoing process throughout this shifting landscape, requiring the oversight of both settlements analysts and their management to ensure compliance. 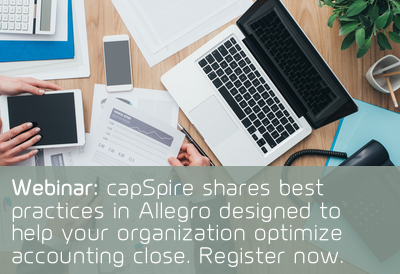 Allegro enables you to enforce segregation of duties and monitor month-end controls. However, it is up to your organization to define and maintain the appropriate permissions, and it is up to personnel to monitor transactional controls. There are numerous benefits to making these touchpoints more accessible and transparent throughout your organization. The creation of an exception-focused dashboard for key controls is one way to address the need to continuously monitor disparate views to find violations in a sea of transactions. Another option that helps prevent timing issues is to create exception reports and schedule them to be dispatched to key personnel when the General Ledger date is rolled each month. Giving your people the ability to quickly see the real issues, and ensuring that those checkpoints won’t be forgotten, increases peace of mind across your organization and provides the requisite assurances that controls have been monitored and validated in the event of an audit. It is easy to get a false sense of security when your close routine has been going smoothly. However, there are months when external events may result in more contentious and time-consuming issues for your back office. Unseasonably cold weather, hurricanes, and trading partners dealing with new analysts or systems are just a few examples of events that can impact the monthly settlements process. Management needs to know if there are individuals who are struggling to complete the tasks on their desks. They especially need to be aware if there are multiple individuals who have been affected, as this can result in late nights, missed deadlines, impacts to other internal groups, and poor results. Introducing reports, views, or dashboards to quickly display the percentage of transactions actualized, invoices created, documents sent, and other important milestones can give management more insight into the progress made to date. It is especially useful if these reports, views, or dashboards are created with the ability to drill into those metrics by individual analyst so that you can also determine who is best able to lend a hand to those who may be lagging behind. 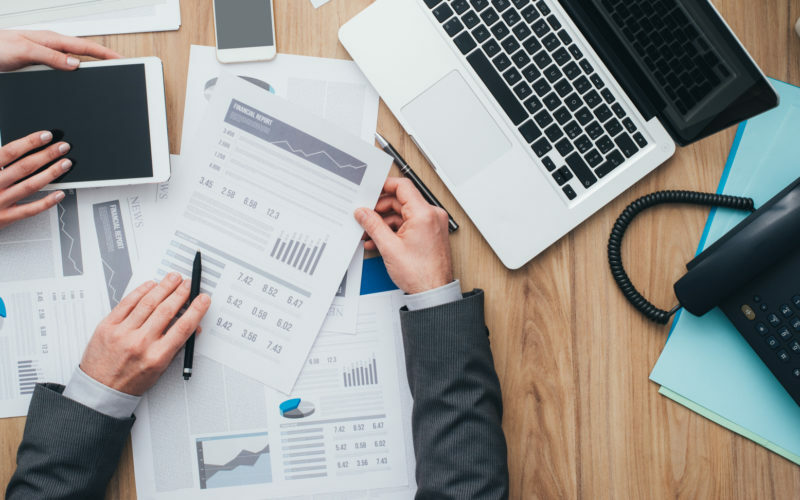 Risk-to-accrual and accrual-to-actual reports are just one example of tools that can help your organization identify errors, as well as expose patterns that define the need for additional controls or data validation traps. Automating those reports makes it easier for you to run them at various checkpoints throughout the month to stop problems before your crunch time. Although variances still require research, Allegro’s robust audit history provides the means to identify the root causes and contributors so you can assess and address those vulnerabilities. There are many common points of error that should be addressed through standard control reports at every trading organization. These reports include procedures such as looking for transactions with prices that don’t fall within a reasonable range for the delivery period. 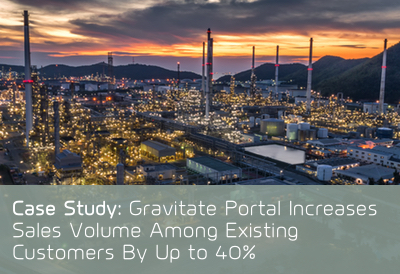 Another great procedure that simplifies your close and future audits is tightening up volume balancing for gas by adding an easily monitored matching process to third-party documentation of imbalance and storage. If your analysts exchange paper invoices and subsequent revisions with counterparties via fax or email, they are working too hard. Their month likely involves tying those documents out to the counterparty invoices manually, working through problems with front office, processing any revisions, and sending updated documents. If these same analysts communicate the details of counterparty disputes with your front office or your internal logistics group via email, the inefficiency in that process is a drag on productivity across multiple groups. Both the front and back offices can lose track of which items have been completed and which items are left outstanding. Essential details are often omitted from the original email, resulting in a flurry of additional communications or actions taken based partially on assumptions and misunderstandings. Better methods of communicating and tracking these issues can also help prioritize disputes with the greatest financial impact above those with immaterial value. If you have multiple analysts settling different commodities (power, liquids, and natural gas) with the same counterparties, they may be tripping over one another in an attempt to ensure that are not invoicing or revising transactions that belong to another desk. When this is left to the analyst’s discretion and effort, we often see preventable rework and frustration. There are simple ways you can address this and other points of inefficiency in your monthly process while improving internal and external relationships.